My mission is to help women connect with their menstrual cycles so that they can heal health challenges, tap into their innate feminine power and thrive in all areas of their lives! For many years, I lived life at the complete opposite end of this spectrum. I was disconnected from my femininity and divinity; constantly pushing and filling my calendar with ‘to-do’s’; not respecting my energy levels throughout the different phases of my cycle, and not having a nourishing and loving relationship with myself. This led me to create and live a life that was not conducive to optimal physical, emotional or spiritual health and wellbeing. After seven years of being on the pill, I reached a point in my wellness journey where it no longer felt in alignment to suppress my body’s natural cycles. I saw other women embracing and embodying their feminine power in a beautiful way, and I yearned to experience that in my own life. Coming off the contraceptive pill wasn’t easy though. The years following were a rollercoaster ride of awful (and I mean AWFUL) skin, long cycles, seemingly endless PMS and no ovulation. Because I started taking the pill when I was just 13 years of age, my body never had the chance to find a healthy cycle. Years later when I came off it, my body still didn’t know how to have a ‘normal’ menstrual cycle. In fact, I was in a worse place then, than ever before because I’d suppressed it for so long. Nurturing a sacred relationship with my womb and menstrual cycle completely shifted this, and changed my life for the better. I became devoted to healing myself – nourishing my gut, balancing my hormones, supporting my liver, and enlisting the guidance of incredible and knowledgeable practitioners. What I didn’t expect when I began this journey back to Self, was that healing my cycle would help me embody more of my feminine energy, embrace the value of the yin phases and uncover the incredible superpowers that women have access to when they become deeply attuned to their menstrual cycle. These days I’m in absolute reverence of my body. My whole life is anchored around my cycle. It influences everything I do – how I map out my creative projects, when I teach workshops, how I nourish my body and what type of movement practice I choose on any given day. I now feel at home in my own skin and honour my physical and emotional needs in a way my 20 year old self never did. Through the practice of cycle awareness, I’ve cultivated a deep intimacy with my inner landscape. My cycle is regular and mostly pain free, for the first time in my life. My physical, mental and emotional health are thriving. My skin is clear. I sync my life and business with my cycle (where possible) for optimal creativity, focus and productivity. My relationship with my body is one of love and worship, not guilt, punishment and restriction. Movement practices and nutrition are intuitive, and cyclical. I honour the yin phases of my cycle and the gifts they hold (although this is still a work in progress for me) and look forward to my bleed. I now see it as a sacred time of rest, renewal and clarity rather than something to dread and resent. I feel at home in my own skin, and the most alive, vibrant and creative version of myself I ever have been. It feels like remembrance. A homecoming. I know many women crave this same experience but don’t know where to start. That’s where I come in. I’m here to take the overwhelm and confusion out of your journey. To reconnect you with your Self and cycle. To hold your (virtual) hand and support you back into full health, vitality and happiness. To guide you home to the woman you were put on this Earth to be – powerful, joyful, energetic and vibrant you. Let me tell you a bit more about me. I’m from New Zealand, but live on the Gold Coast, Australian. I’m a Cancer with Virgo rising (which means I’m super nurturing, creative and empathetic … but also a detail oriented perfectionist!) I’m an INFJ who is happiest when I’m painting, on my yoga mat, cooking for loved ones or watching the sun rise over the ocean. I’ve travelled to 18 countries and will continue to explore this beautiful world for the rest of my life. I’m also an experienced yoga teacher, workshop facilitator and graphic designer. As a designer and artist, the cyclical nature of the creative process is familiar territory. Once I began teaching yoga 2016, I combined intuitive art, meditation and free movement in my Awaken Your Creativity workshops, which I ran in person and online. These workshops created an opportunity for women to tap into their womb wisdom, awaken their shakti energy, and move and create from that intuitive place. In a world that can be very linear and results focused, creativity for the sake of joy and presence (a very feminine activity) isn’t often valued. I LOVED seeing women awaken their innate creative energy, and this laid the foundations for the Feminine Rising Women’s Circles which I now host on the Gold Coast in Australia. My soul’s work is to help women reconnect with the ancient wisdom of their menstrual cycles. My experience has shown me that women can change their lives (and the world) by tapping into their innate feminine power. I’m here to play a part in helping women remember and reclaim the gifts of their cycles – and I’d be honoured to support you to do just this. Alisha Rose is a menstrual cycle coach, yoga teacher and creative. 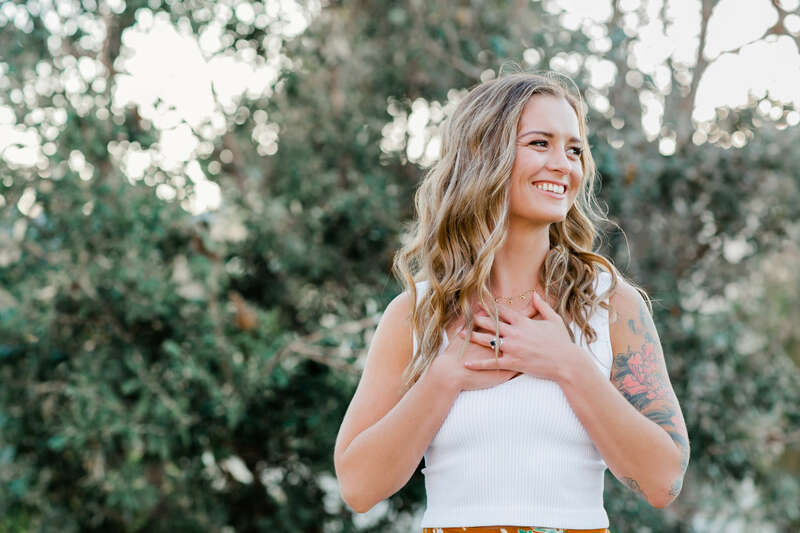 Through the practice of cycle awareness, she empowers women to live in harmony with their cyclic nature and embrace their innate feminine power. 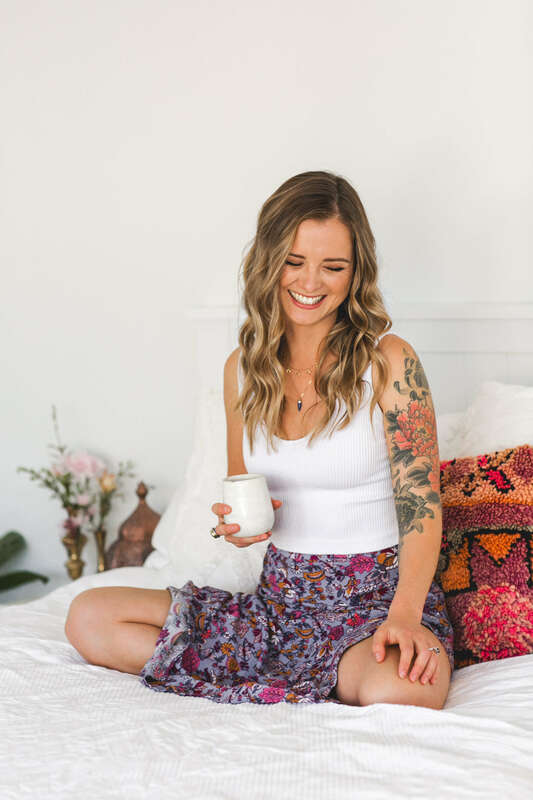 Alisha lives and breathes all that she teaches and hopes to one day see all women fall in love with their menstrual cycle and the life enhancing gifts it offers. Alisha supports women through one on one coaching; yoga classes, workshops and events; and her free online community, Feminine Rising. You can find out more about Alisha and her work at www.alisharosekruger.com.